​We have been working with the city of San Jose to provide STEM education to their gang-impacted teens. These teens grow up with many of their friends and relatives being part of a gang and by exposing them to other opportunities, we hope to motivate them to pursue a better future. This season alone, we have volunteered over 250 hours at various FIRST tournaments including our own FTC Qualifier that we host at Saratoga High School. 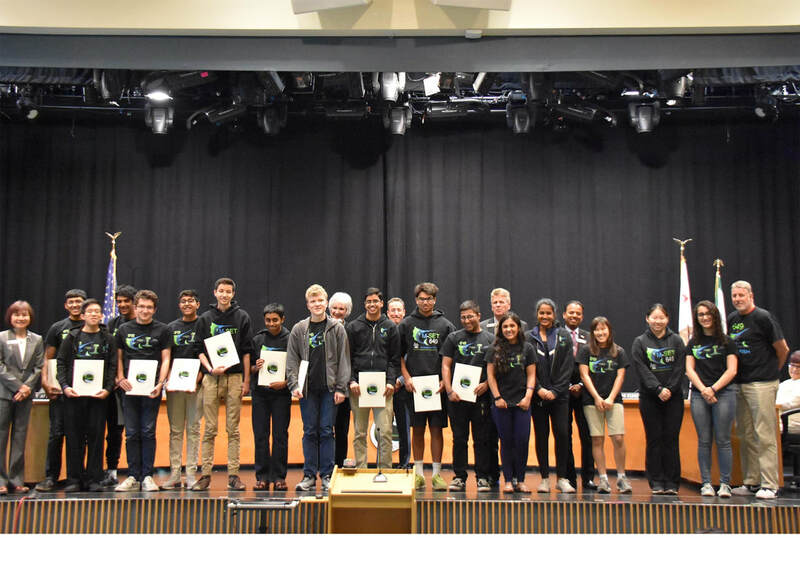 Some other events we have volunteered for include FTC Qualifiers in Redwood City, Google, Santa Clara, and Daly City, FLL Silicon Valley Championships, and the FTC NorCal Championships, just to name a few. ​Because of the enormous response the team received from the surrounding community of Mayfair after the CityTeam Summer camp, we expanded our splash with CityTeam by providing virtual tutoring to their students. We are currently in the beta testing process with 9 students. ​On January 5th, the 6165 Cuttlefish and the 7390 Jellyfish went to the Saratoga Library with some other local FTC Teams. They all took their robots and posters and told children and parents about FIRST programs and even allowed some people to drive their robots. ​Working with young children, we taught them basic programming principles using the robots Dot & Dash. We ran this class at the Saratoga Library and each session, 15 students attended. We demonstrated our robot at the Sunday Friends STEAM Fair and ran the STEM project station. Working with a group of 10 kids, we built contraptions out of everyday items. ​On September 9, our FTC and FRC visited one of our local elementary schools to demonstrate our robots and to garner interest in our community. We spoke to many of the students in an effort to inspire them to join the robotics team once they got to the high school and start pursuing STEM early. We put on our demonstration during an assembly for all the students. The 6165 Cuttlefish visited the SAP Headquarters, where they were first given a tour of the facility. Their makerspace was full of 3D printers, electronics, and more. After the tour, the team set up mats to display their swerve bot and tank drive. Since children and their parents were taking a class on how to use a micro bit, the team showed a variety of kids and teenagers their robots and explained FIRST to them, as well as how to get involved. The 6l165 Cuttlefish traveled to Star Kids Academy once again. The Academy generously donated a large assortment of various robots, software instructions, and other electronic toys for them to sell. The Cuttlefish were allowed to keep all of the money to support their team, in exchange for manning the selling station. Star Kids even let them keep the things which were not sold, which the Cuttlefish then donated to a middle school STEM classroom, helping raise awareness about robotics. From July 30th to August 3rd we worked with City Team at their Mayfair, San Jose location to teach small groups of middle and high school students. A 3-D printed car project along with a Mini-Robot build workshop were taught. Students in the 3-D printing workshop learned how to use a very basic CAD software called Tinkercad. They used Tinkercad to design a car that was then printed and presented on the last day of the workshop. The 6l65 Cuttlefish went to Star Kids Academy again, this time to a class of older students ranging from 5th to 8th grade. The students were in a class for LEGO Mindstorms robotics, so the Cuttlefish talked to them about FIRST and FLL in particular, and how they could join an FLL team to keep doing robotics throughout the school year. The team then showed them their competition robot and minibots, and let them drive the minibots around. The 6165 Cuttlefish went to a summer camp called Wizbots, which elementary students who were interested to robotics were attending. They showed off the Jellybot and their two tank drives; one was a push bot and one was a tank bot. They also delivered a presentation while showing off their robots and talked about what FIRST is, what they do, and explained how to get involved in the FIRST program. Galileo is a kids summer camp hosted at the Sacred Heart School/Church. The 6165 Cuttlefish taught two classes of elementary schoolers for a half hour each. The different aspects of robots they taught about were driving, building, and designing. The children could choose a station to work at, depending on what they were interested in. The 6l65 Cuttlefish visited Argonaut Elementary. Their outreach team contacted the science summer camp at Argonaut, and the robotics team introduced children from ages 6 – 13 to the robotics fundamental of design and design changes. They created 4 different mini robots to allow the kids to have a first-hand experience as drivers driving a robot and had them compete in a small challenge using them. Design specific team members helped the students think through and draw out examples of parts that they wanted to add to their pushbot. A hardware specific member of the team instructed the kids on how to use basic tools to put together tetrix pieces to essentially create the modules they had designed. We took our robot to Intuitive Surgical to play matches with other Bay Area FRC teams and discuss our experience in FIRST with the employees. As a generous sponsor for Bay Area FRC teams, Intuitive. The 6l65 Cuttlefish went to Star Kidz Academy, a local summer camp, where they presented their competition robot and mini-bots to a robotics class full of 3rd graders. They taught the students about the benefits of modularity and then had them construct robot modules out of LEGOs to place onto a push-bot they brought. This process helped the students learn more about robotics and technology fundamentals. On June 11th, the 6l65 Cuttlefish visited Tula Technologies for a company tour and presentation. They brought both their competition and tank drive robots, giving a presentation on their competition robot and getting feedback from the professionals there. Afterwards, the CTO of the company and a few employees gave them a presentation of their technology. Every year the Santa Clara County Office of Women’s Policy puts on a conference for young women and their mentors to inspire them to be advocates for themselves and confident in their environments. One of the members of the team was on the Advisory Team for this conference and ran the Activism workshop, focusing specifically on the encouragement of women in STEM. The workshop was very successful and this student is continuing her advocacy through this conference again this year. This student also worked with the Girls Teaching Girls to Code organization to spread the word in the community about upcoming events that encouraged girls into STEM. Individual student started 3 First Lego League teams at Argonaut Elementary Schools, a local elementary school. The student reached out to the school administration, acquired funding, and taught classes. Three FLL teams with 10 students, including an all girls team, each competed at the Gunn High School and Google Qualifiers. The program is now in its second year and is an ongoing program, over 300 hours have been dedicated to the program. On June 6th We spoke with our city council members and discussed our experience in robotics and FIRST. Through this event we were able to forge greater connections with the city and the community. On May 21, our FTC and FRC visited our local middle school to demonstrate our robots and to garner interest in our community. We spoke to many of the students in an effort to inspire them to join the robotics team once they got to the high school. We put on our demonstration during lunch for all the students and then did a small presentation for the middle school’s STEM class. On the weekend of May 18th, FTC and FRC teams went to the Bay Area Maker Faire in San Mateo. FTC participated in a mini-competition while FRC demonstrated their robot to the people attending the faire. During the competition, other FTC team members talked to questioning parents and children watching the competition. During breaks when the FTC team was allowed to explore, the FTC team talked to other makers within the faire. We explained what First was about and how our team functions as well as learning what their project was about. This was a great experience because we were exposed to other STEM related projects that fit our individual interests. We could see what the future, for those of us exploring the STEM field, would be like. Our FRC team and FTC teams attended the Saratoga Rotary Art Show hosted by the Saratoga Rotary Club at West Valley College. Twenty-five students attended the full duration of the event and displayed their robots to children and parents. Students also set up a button making station so kids could color and make their own custom button or M-SET fish button. 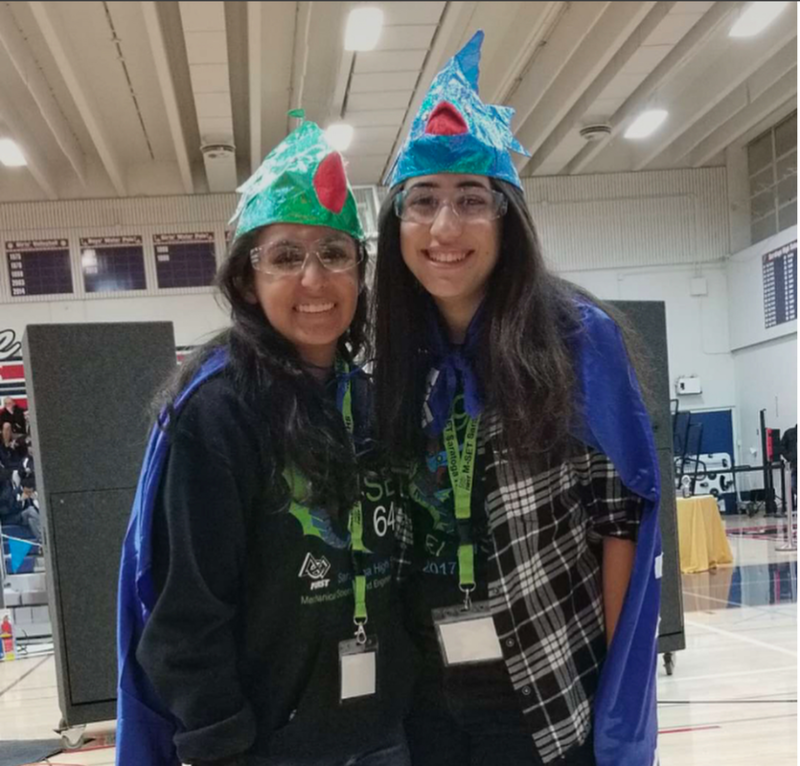 Throughout the last season, our students volunteered at several events including FTC's Redwood City Qualifier, the Playspace Qualifier, Daly City Qualifier, and NorCal Regional Championships. Want to know more about MSET Outreach? Go to our 'Contact Us' page and send us an email!